Sometimes timing can be meaningful — even if it's pure coincidence. Villagers' Conor O'Brien likely never anticipated that the September release date of his fourth album, The Art of Pretending to Swim, would dovetail with Paul Simon's retirement from touring via his three final shows at New York's Madison Square Garden and Flushing Meadows Corona Park. (The Art of Pretending to Swim comes out on September 21, the day of Simon's penultimate live concert). Only 34, O'Brien is still at the beginning of his songwriting journey, with two Ivor Novello awards in songwriting and a couple of Mercury Prize shortlist appearances too, while Simon, 76, has a career spanning over five decades, with 14 solo studio albums in addition to his five studio releases with Simon & Garfunkel. In fact, O'Brien was just about a year old when when Hearts and Bones, one of the Dublin musician's more beloved Simon albums, was released. Yet despite the difference in their years and experiences, both O'Brien and Simon share a common understanding of masterful and meaningful lyricism. Both have a knack for devastating, witty, and uplifting turns of phrase, sometimes fleeting in their sheer perfection: "And the future has been written, but the pen ran out of ink," blithely observes O'Brien, with admirable precision, on the technology-minded "Fool," from The Art of Pretending to Swim. So it made sense that O'Brien, who caught Simon's "Homeward Bound - The Farewell Tour" in the Netherlands this summer, would have plenty to say about the Queens-raised songwriter — which he's done in this beautiful assessment for FUV of his "Five Essential Paul Simon Songs." 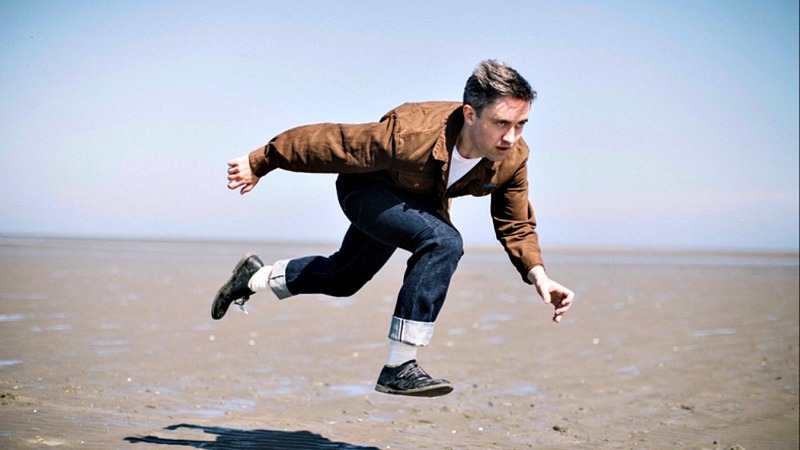 Villagers' Conor O'Brien: "Five Essential Paul Simon Songs"
There is so much grace and beauty in this song. I went his farewell show in Amsterdam a couple of months ago and he explained that he was leafing through a book in Joan Baez's home and came across a photo of the couple, read the caption and thought to himself "that would make a really great song title." A lyrical tribute to an enduring love as well as classic doo-wop, I feel like this song really encapsulates his ability to take an idea and run with it until it has moved the listener into an unexpected emotional space. This is such a groovy little number. I really love the layered backing vocals and the gorgeous Rhodes chords. It's an instantly engaging song which manages to skirt the difficult terrain between narrative clarity and musical flow without sacrificing any aspect of either. The final thematic summation is so expertly intertwined that it manages to avoid the possibility of being too on-the-nose, helped greatly by the shift in song structure as he delivers the ultimate denouement: "The thought that life could be better is woven indelibly into our hearts and our brains". I couldn't quite believe what I was hearing when this song was released. It's one of those tunes that I constantly feel compelled to force people to listen to as I point annoyingly at the stereo saying, "See?! See?! It's amazing! Listen!" The purposeful novelty aspect, which gradually builds towards a wider and darker exploration of social class, is only emboldened by its sheer grooviness. A playful and layered piece of genius cake with a bassline to die for. Plus it's amazing live. I used to listen to this album pretty obsessively when I was touring the first Villagers album. This song is an inspiring lesson in conversational songwriting. It's only six minutes long, but it somehow makes you feel like you've read a particularly moving autobiography or, better yet, have been inconspicuously following Frank and Lorraine as they undertake the rocky terrain of life together. There is one particularly eviscerating moment five minutes into the song which only becomes more effective on a second hearing; a guttingly beautiful marriage of tone, chord changes, and narrative shift. I don't want to ruin it for you if you haven't heard it, so go listen. I love this song. It quite clearly exemplifies something which he has managed to perfect over the course of a career: the ability to take the listener into a deeper exploration of a seemingly mundane situation without drawing too much attention to technique. As a listener you kind of feel like you're simply being drawn further into a dream. In this song, we begin in the "blue light of Belvedere Motel" as we travel on the interstate to an amorous daydream on the top of a hill, before finally bucking up the courage to call. We've all been there, and it sure is a wonderful consolation to hear it so tenderly wrapped up in such beautiful music. Read all of FUV's Five Essentials Albums and Songs here.